A new study by researchers from the Massachusetts Institute of Technology (MIT), published in the journal Environmental Research Letters, has examined the impact of toxic emissions from the 2.6 million vehicles produced by Volkswagen in Germany. Scientists looked at the risk of premature death directly linked to the pollutants released into the air by these vehicles. They found that over 11 million of Volkswagen’s cars worldwide are in violation of pollution safety standards, and that in Europe alone, the additional pollutants will be responsible for 1,200 people dying a decade sooner than they should have. These deaths will mainly be caused by respiratory illnesses. The study concluded that about 500 of the premature deaths will take place in Germany itself, but that the population density in Europe means that around 60 percent of the deaths will take place in other European countries. The pollution impact was only studied for VW, Audi, Skoda and Seat vehicles actually purchased in Germany, which of course means that the problem could be far worse if all vehicles purchased in Europe were included in the assessment. 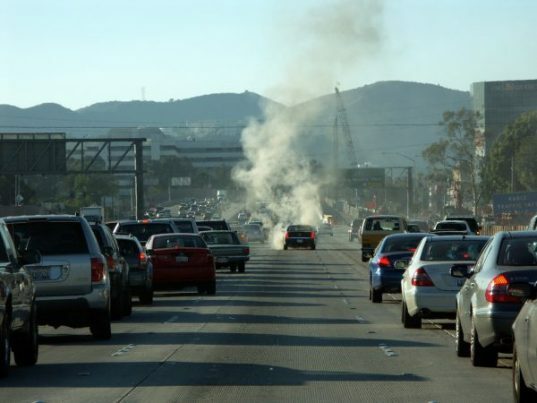 Science Daily explains that several different pollutants in vehicle emissions can have a negative impact on human health and on the environment, including hydrocarbons, carbon monoxide, sulfur oxide, particulate matter and volatile organic compounds (VOCs). The MIT study, however, focused on another damaging pollutant: nitrogen oxides or nitric oxides (NOx). NOx is generated when nitrogen in the air reacts with oxygen under high pressure and at high temperature – vehicle engines provide the perfect environment for this to take place. NOx is a precursor to both smog and acid rain, and is extremely reactive. Since NOx inhalation destroys the body’s resistance to respiratory infection, prolonged exposure can result in trouble breathing, reduced lung function, ongoing headaches, eye irritations and a loss of appetite, among other problems. As illustrated by the study, these emissions can even result in premature death, and this is true of about 23,500 people annually in the U.K. alone. The researchers found that getting all the affected vehicles off the road would save the European community upwards of 4.1 billion euros in healthcare costs. The fact that this study only looked at vehicles produced by Volkswagen and only in Germany, is a cause for immediate concern, as it seems obvious that if all vehicle manufacturers were looked at globally, the scale of the problem would likely be staggering. While the damage caused by vehicle emissions is likely to be an ongoing problem – at least for the foreseeable future – one way to dramatically improve the quality of the air your family breathes is to install a high-quality air purification system like the Dreval D-850 seven-stage system in your home. It eliminates 99.97 percent of all particles in the air, even those as small as 0.01 micron. With a system like this, pollutants, harmful gases, damaging chemicals like ammonia and benzene, allergens like dust mites, mold spores and pollen, and causes of disease like bacteria, germs and viruses, can all be safely eliminated from your home.